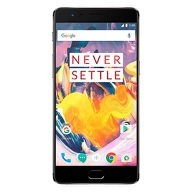 The OnePlus 5 took its predecessor - the OnePlus 3T's great success even further, and made OnePlus the globally recognisable brand that it now is. 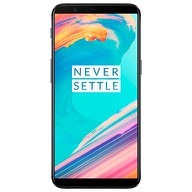 Prices climbed, higher than what was typically expected of OnePlus, The OnePlus 5 launched at 36,999 - no more the flagship killing price that it OnePlus used to offer. 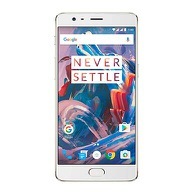 But it still delivered specs worthy of the price.The device was powered by a Qualcomm Snapdragon 835 processor, along with a mammoth 8 GB of RAM on its top end model. The top end model even featured 128 GB of internal storage. A slightly lower specced version featured 6 GB of RAM paired with 64 GB of storage. The OnePlus 5 also featured a brilliant 5.5 inch screen with a 1080p AMOLED display that packed in 401 pixels per inch on a 2.5D Corning Gorilla Glass 5. Despite the Gorilla Glass 5 protection though, the OnePlus 5 can still take a fall and have its AMOLED display shattered. 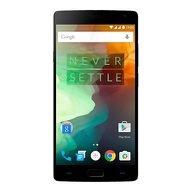 While OnePlus does have a few service centers across the country, repair isn't cheap, or as easily accessible as local repair stores. But then local repair stores come with reliability issues, the risk of getting overcharged and being sold fake parts, or even data theft. Getting your broken OnePlus 5 screen fixed isn't a walk in the park. But what if you could fix your screen from the comfort of your home? Aiming to cut down all the hassle involved with screen repairs, here's ScreenPro, from Cashify. Screen Pro is an online screen repairing service available in Delhi, Gurgaon, and Noida, that delivers screen replacements to your home quickly and without burning a hole in your pocket. Designed to simplify phone repairs, it allows you to book your screen replacement appointment entirely online. Your phone's screen is then repaired by a ScreenPro agent at your own convenience at the address and schedule provided by you.ScreenPro uses only genuine parts for the repair, and even packs in 6 months of warranty on the service, in addition to a 7 day long money back guarantee should you decide to change your mind. 1. Select your city > pick the OnePlus brand > pick the OnePlus 5 > select the colour of your device. 2. Click Go, punch in your mobile number and the ScreenPro OTP that you will then receive on your mobile. 3. Hit Submit, and you will be able to see the price for your OnePlus 5's screen repair. 4. Choose your preferred appointment date and time, fill in your address, and click on Continue. 5. Review the details of your appointment one last time before you give the final confirmation on your screen replacement. Now, wait for our expert technician to arrive and fix your OnePlus 5. Fixing a broken screen was never this easy. You can also get the screen repair service for other smartphone brands - such as Apple, Xiaomi, OnePlus, and more..